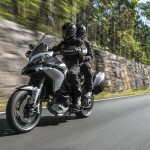 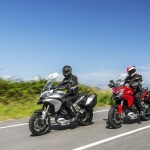 When Ducati announced the updates for its 2013 Multistrada 1200 lineup, the Italian manufacturer was surprisingly quiet about the line’s most notable upgrade, the Ducati Skyhook Suspension. 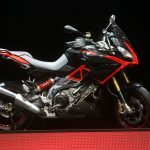 All we were told was the system is a semi-active suspension using Sachs components that adjusts its damping settings to varying riding conditions. 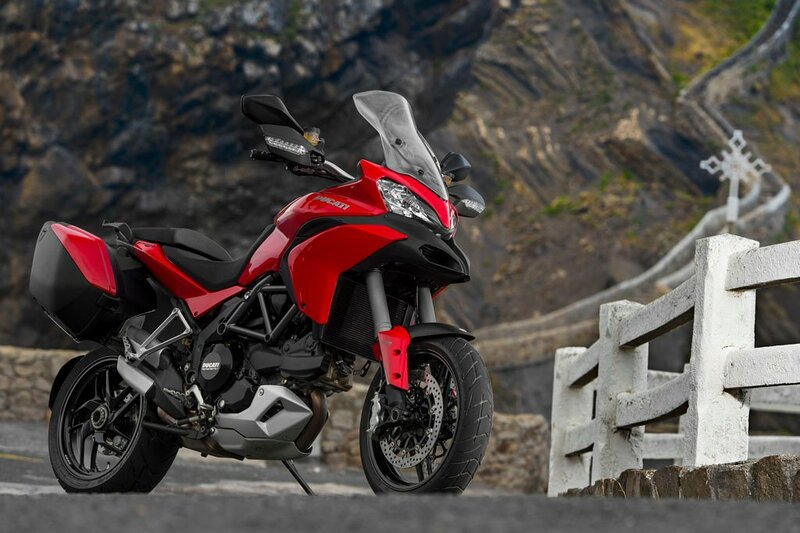 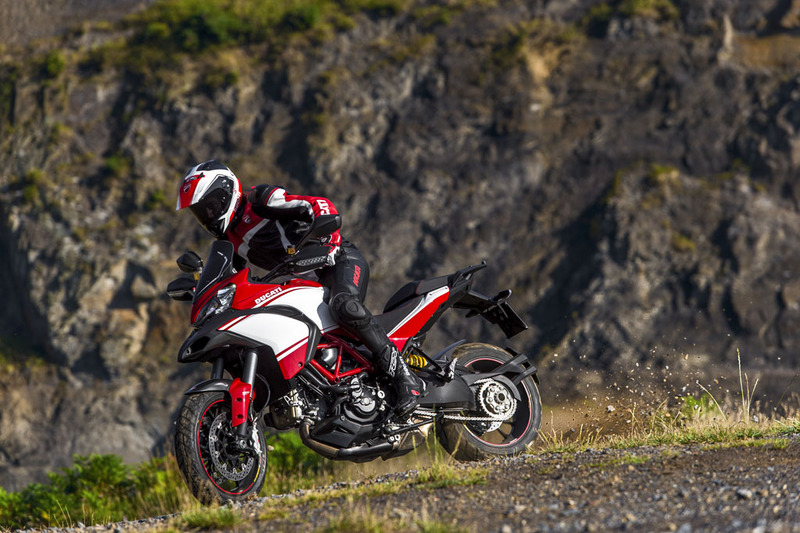 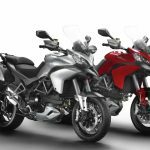 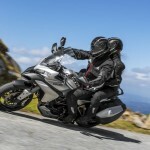 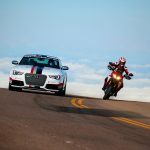 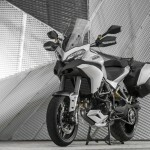 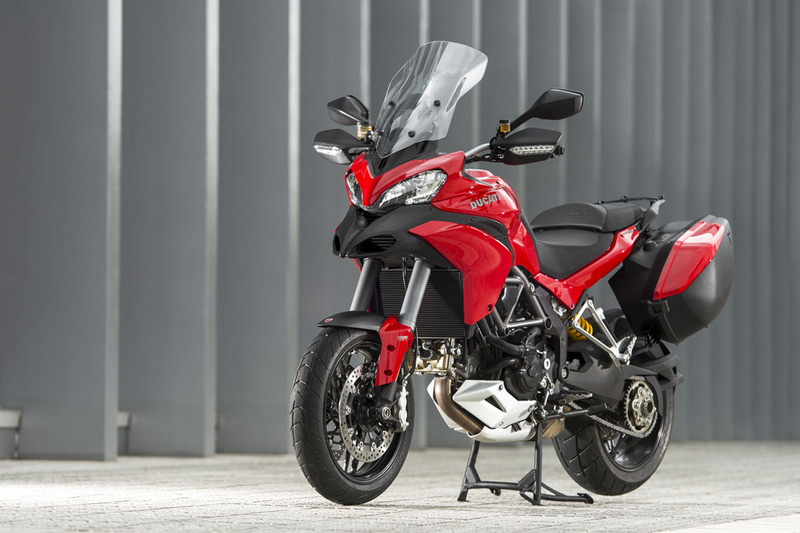 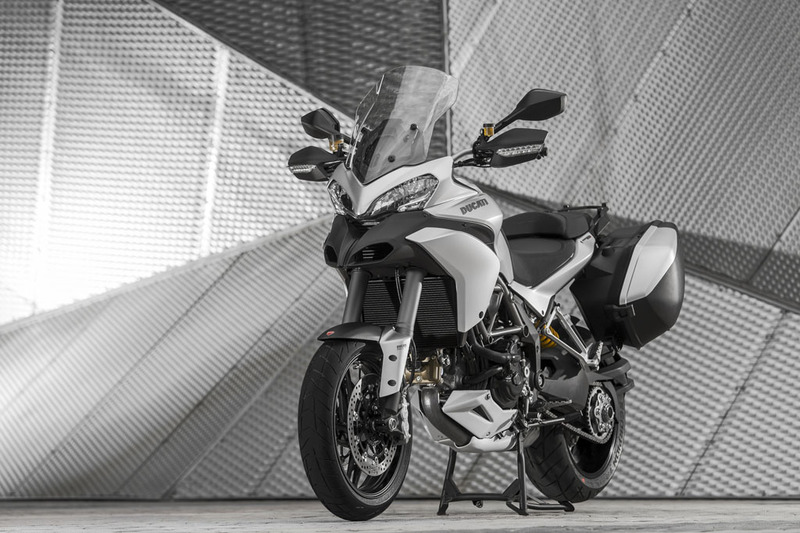 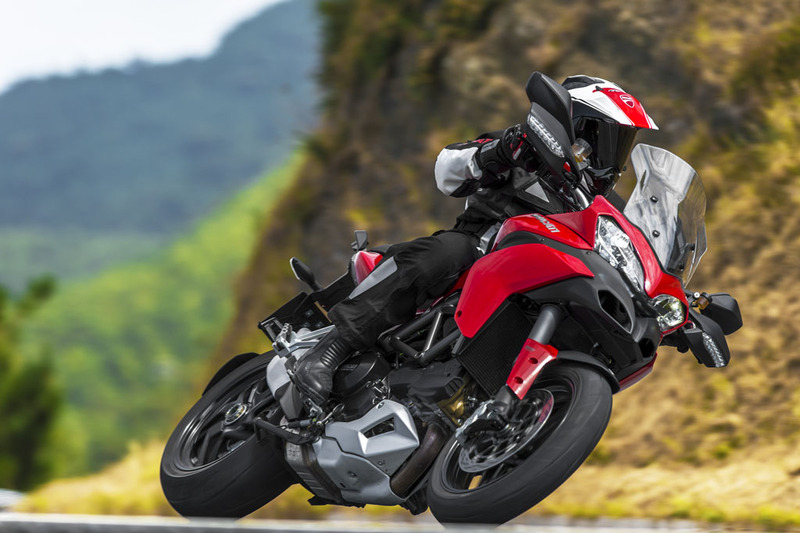 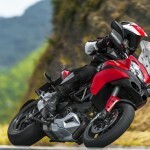 Ducati has now provided more information about the DSS technology which will be standard equipment on the three “S” versions of the Multistrada 1200, the Touring model, the sportier Pikes Peak model and the new flagship Granturismo model. 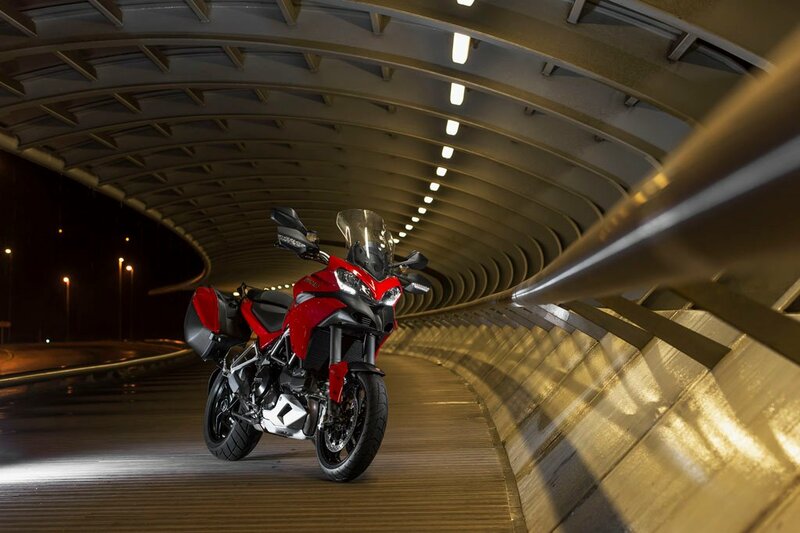 DSS uses a number of sensors located on both sprung and unsprung components of the chassis. 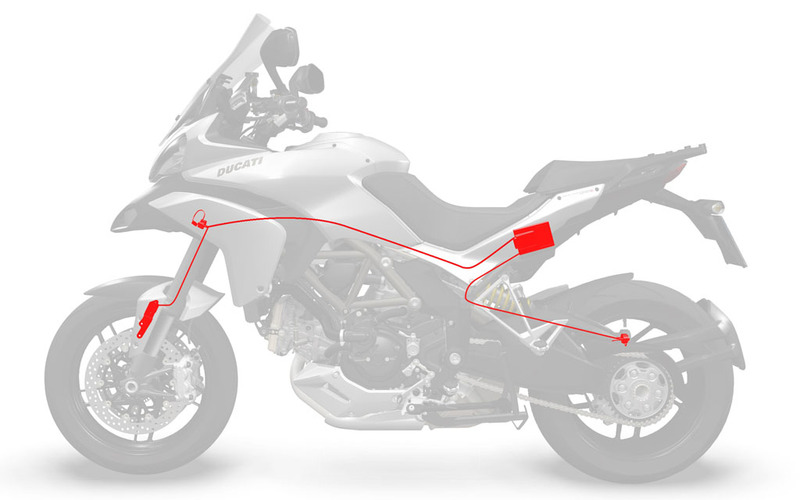 Vertical accelerometers on the lower triple clamp and rear sub-frame provide “sprung” data while sensors on the fork legs and rear swingarm. 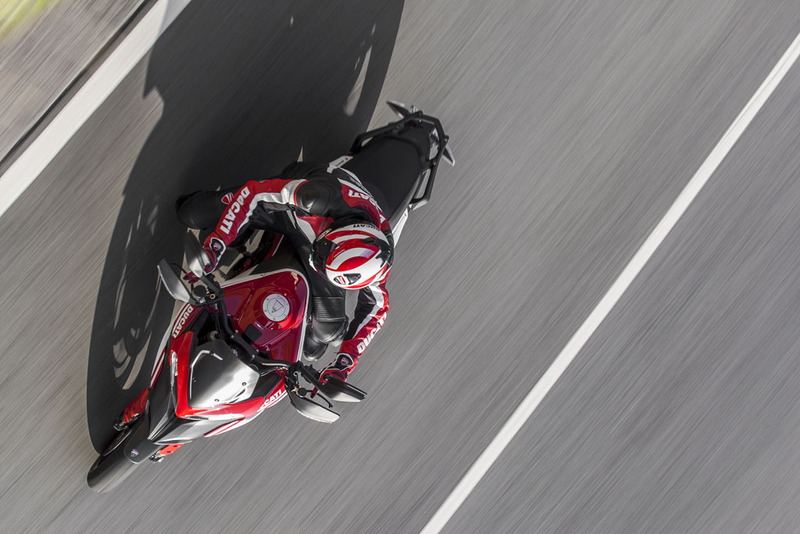 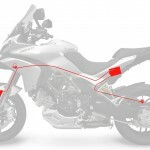 An algorithm processes this data in relation to an imaginary fixed reference point directly above the motorcycle and automatically adjusts the front and rear damping settings to maintain a constant relationship to that reference point. 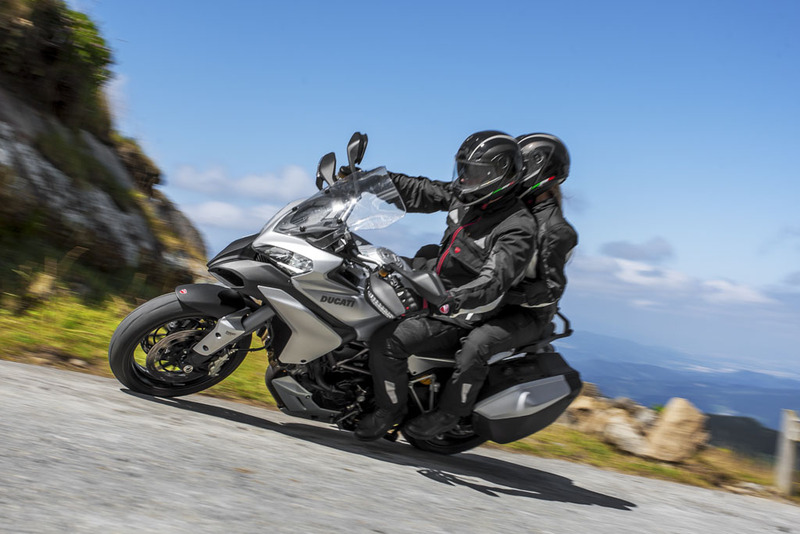 The name “Skyhook” refers to an imaginary hook at this floating reference point, from which the front and rear of the motorcycle is suspended. 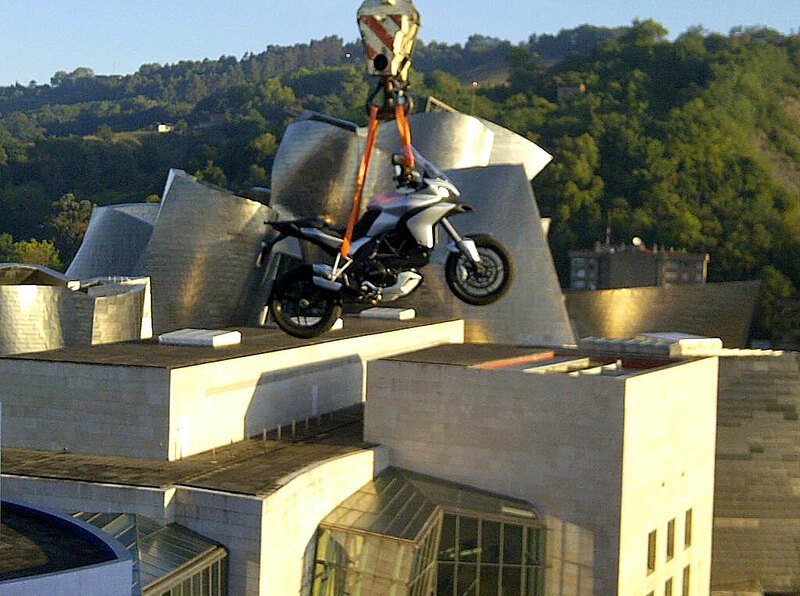 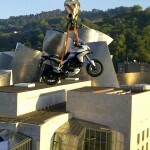 To illustrate this, Ducati had a Multistrada 1200 lifted by a crane during the official press launch in Bilbao, Spain. 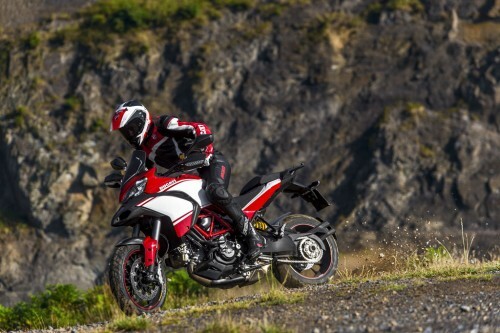 DSS also processes information from the traction control’s longitudinal accelerometer sensor and ABS pressure sensor. 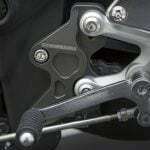 The system then adjusts the suspension to smooth out the forces created by acceleration and deceleration, reducing the amount of longitudinal pitching. 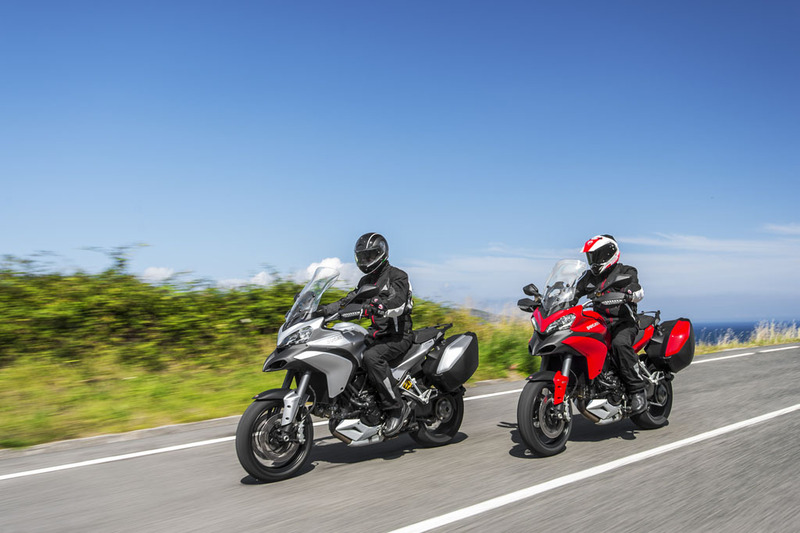 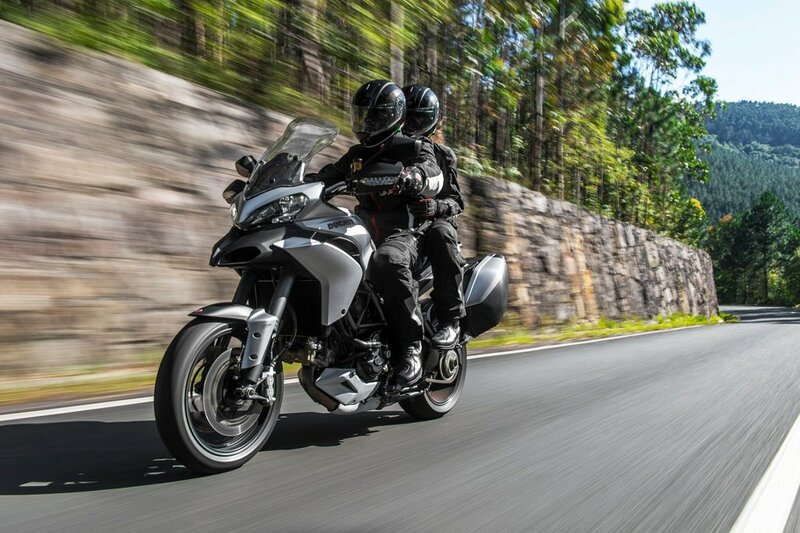 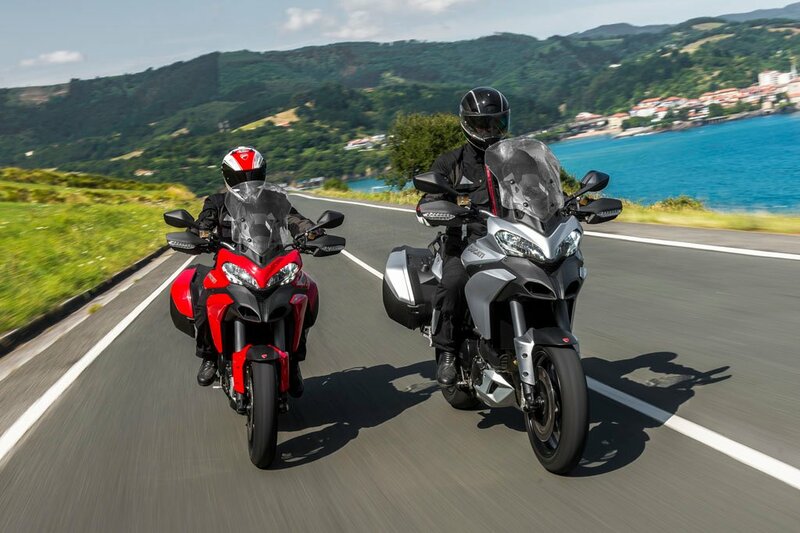 The Skyhook system works in coordination with the Multistrada’s four riding mode settings and reacts accordingly. 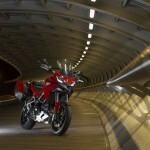 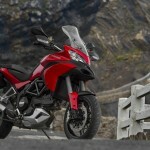 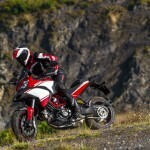 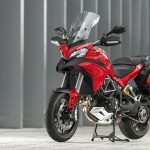 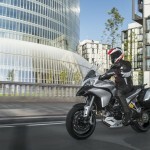 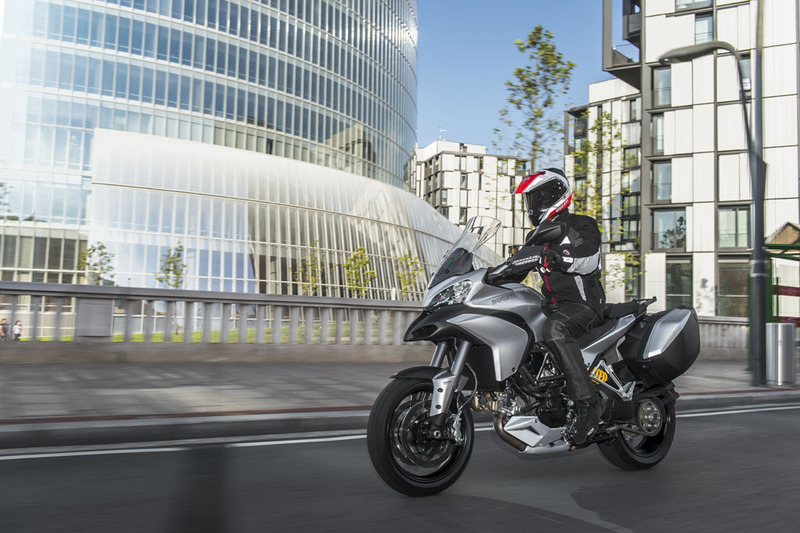 DSS will react differently, for example, if the the Multistrada is in Sport mode than it would if it were in Urban mode. 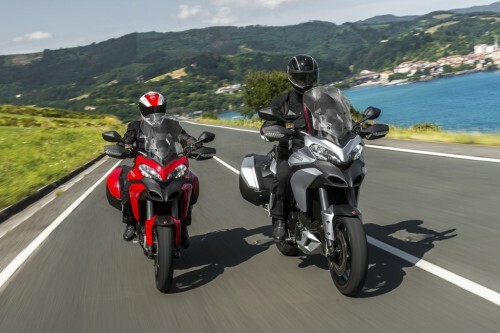 Riders will also be able to adjust suspension settings based on whether a rider is alone or with a passenger, as well as whether or not it is carrying any luggage. 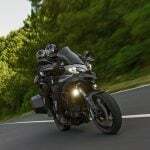 DSS will recalibrate according to these user-inputted settings.